Surya connotes the solar deity in Hinduism,particularly in the Saura tradition found in states such as Rajasthan, Gujarat, Madhya Pradesh, Bihar, Uttar Pradesh, Jharkhand and Odisha. 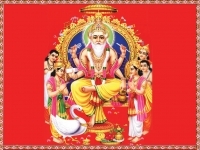 He is one of the five deities considered as equivalent aspects and means to realizing Brahman in the Smarta Tradition. His iconography is often depicted riding a chariot harnessed by horses, often seven in number which represent the seven colour rays of the rainbow. In medieval Hinduism, Surya is also an epithet for the major Hindu gods Shiva and Vishnu.In some ancient texts and arts, Surya is presented syncretically with Indra, Ganesha or others. Surya as a deity is also found in the arts and literature of Buddhism and Jainism. Surya is one of the nine heavenly houses (Navagraha) in the zodiac system of Hindu astrology. Surya or Ravi is the basis of Ravivara, or Sunday, in the Hindu calendar. Major festivals and pilgrimages in reverence of Surya include Makar Sankranti, Pongal,Ratha Saptami and Kumbh Mela. Surya Devata in Hinduism is considered to be an eye of the Virata Purusha, or the Vishwarupa (Universal Form) of Lord Sri Krishan himself. Incidentally, Surya is worshipped by people, saints and even asuras or demons. Certain groups of Rakshasas, called the Yatudhanas, were staunch followers of the Sun God. Surya Devata is regarded as the Supreme Being among the followers of the Saura sect, which has now become very small and is almost endangered. The Sauras worship him as one of the five major forms of God. One can find many temples, all over India, dedicated to the worship of Surya. 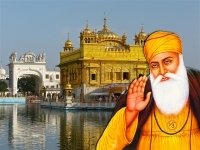 He is worshipped in the early hours of dawn, especially on Hindu festivals such as Makar Sankranti, Ratha Saptami, Chhath and Samba Dashami. Arka form : “Arka” form is worshiped mostly in North India and Eastern parts of India. The temples dedicated to the “Arka” form of Surya are Konark Temple in Orissa, Uttararka and Lolarka in Uttar Pradesh, and Balarka in Rajasthan. Mitra form : Surya is also known as “Mitra” for his life nourishing properties. The Mitra form of ‘Surya’ had been worshiped mostly in Gujarat. It is the most widely celebrated Hindu festival dedicated to the Sun God. It is celebrated as Makara Sankranti in many parts of India and as Pongal by Tamils all over the world. People thank the Sun God for ensuring a good harvest and dedicate the first grain to him. It is another Hindu festival dedicated to Surya. It is believed to be started by Karna, the son of Surya, who became a great warrior and fought against the Pandavas in the Kurukshetra War. Chhath is unique to Bihar, Jharkhand, and some parts of Uttar Pradesh and Nepal. It is celebrated in the eastern coastal state of Odisha in the honour of Samba, the son of Krishna who was cured of leprosy by praying to Surya. 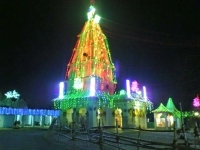 It is a Hindu festival that falls on the seventh day of the bright half of the Hindu month Maagha. This day is also known as Surya Jayanti because it celebrates the power of the Sun God. To invoke the Sun God, various Mantras are chanted everyday by thousands of devotees. They are salutations to Lord Surya (The Sun), the giver of energy to the world, for self vitalization.